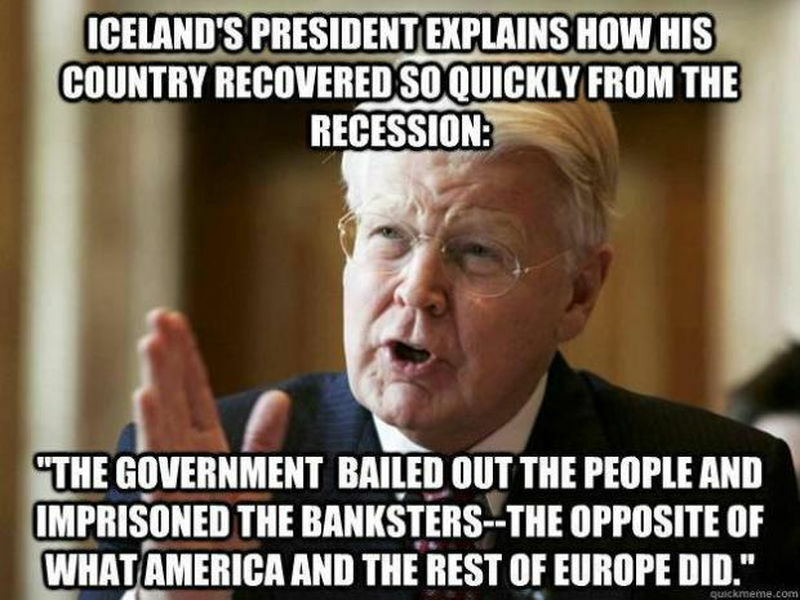 often repeated theme point: Iceland Did The Right Thing! The Story Of Iceland - during the financial crisis, they accepted a painful recession & deleveraged . .it cleansed the balance sheets of the bad debts .. today Iceland's currency is the strongest currency in Europe .. price inflation has declined even as nominal wage growth has exploded .. "Iceland citizens are experiencing a perfect storm of rising living standards – with current real wage growth of 10.14%. A few months ago, real wage growth reached a new all-time high of 11.61%!"